Ceiling lights. 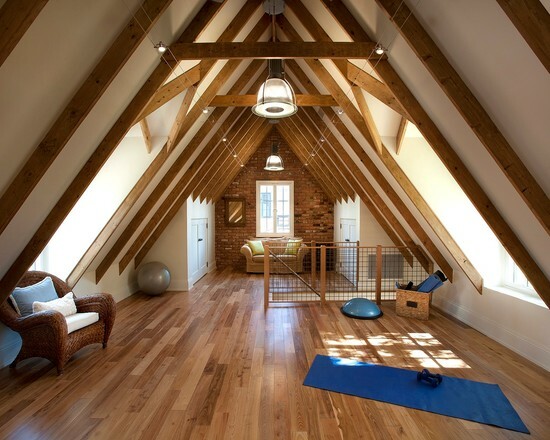 Wooden look floor with beams. Great for yoga or lifting weights.